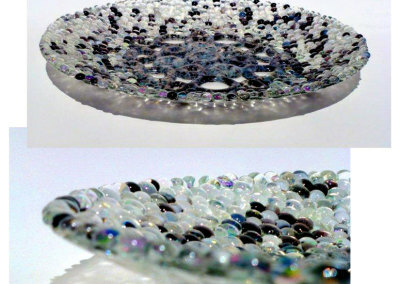 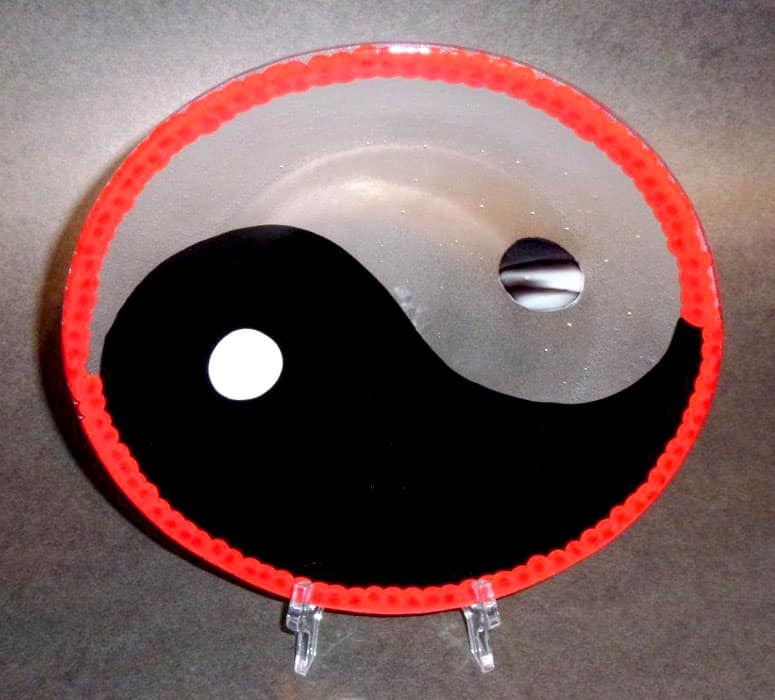 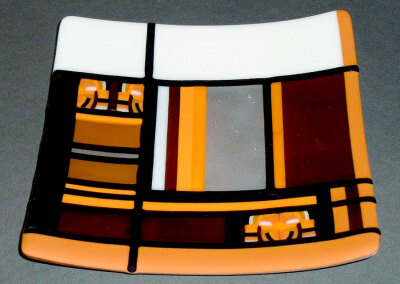 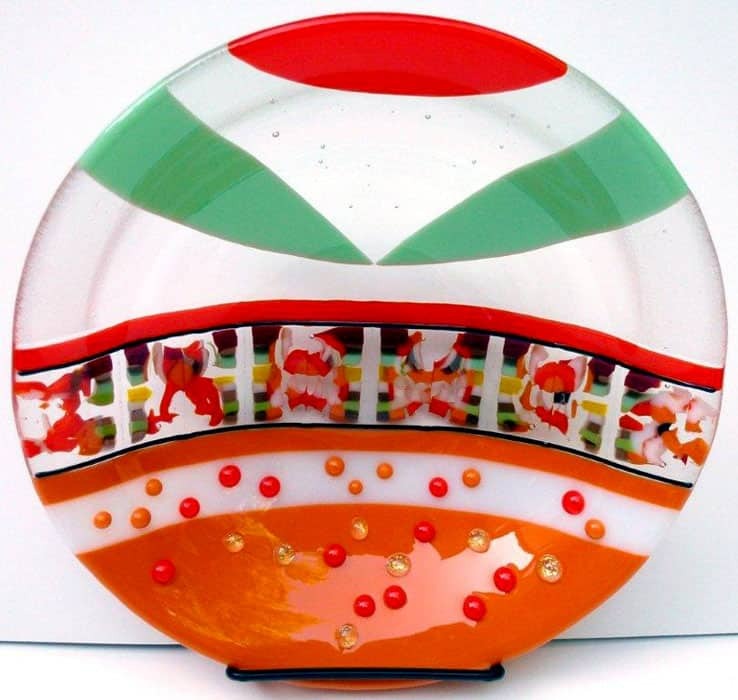 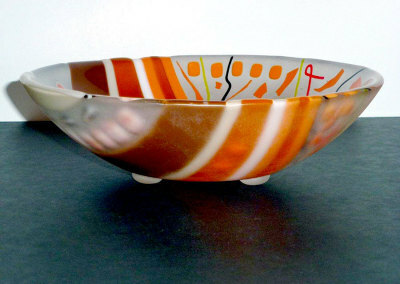 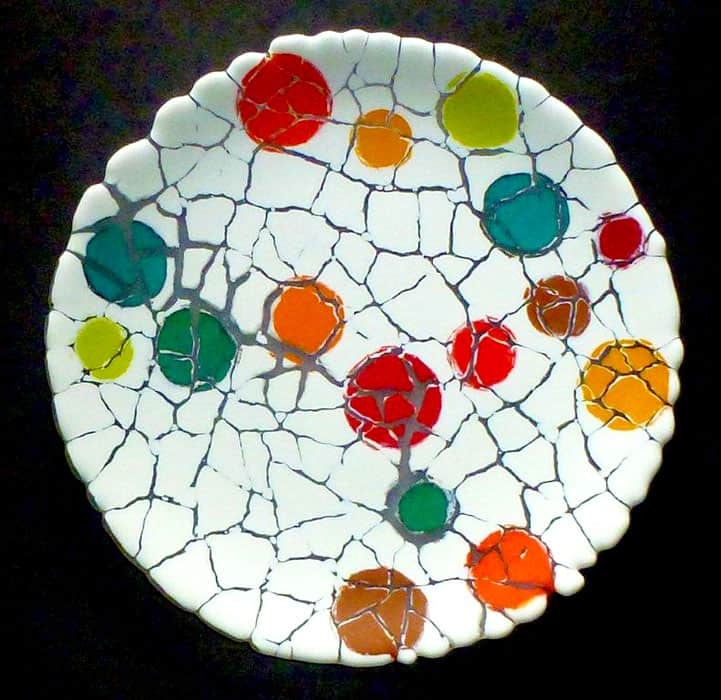 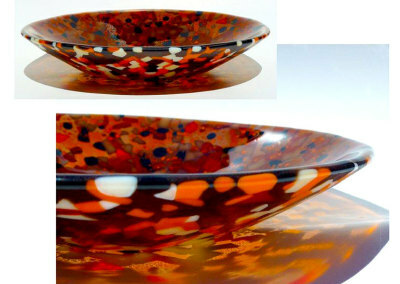 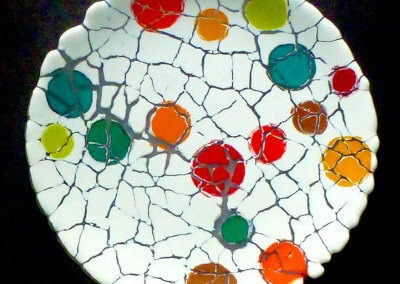 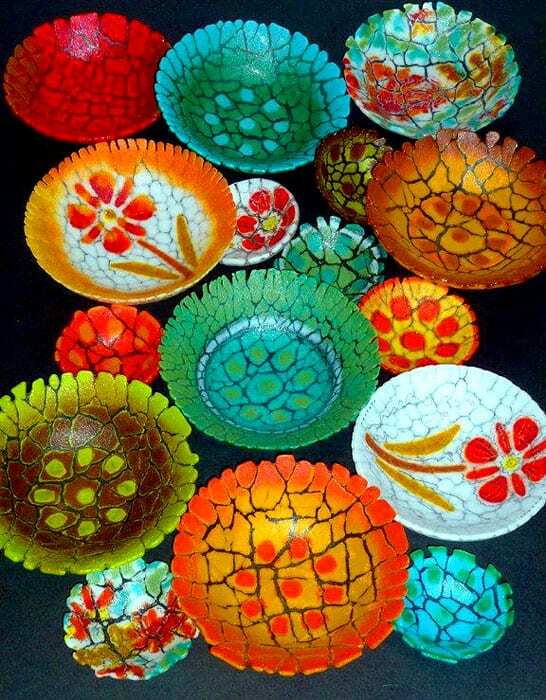 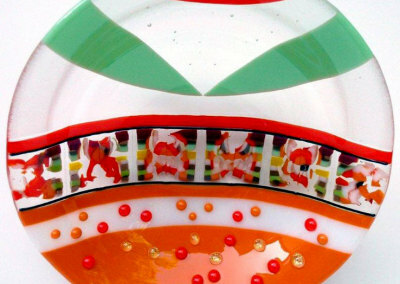 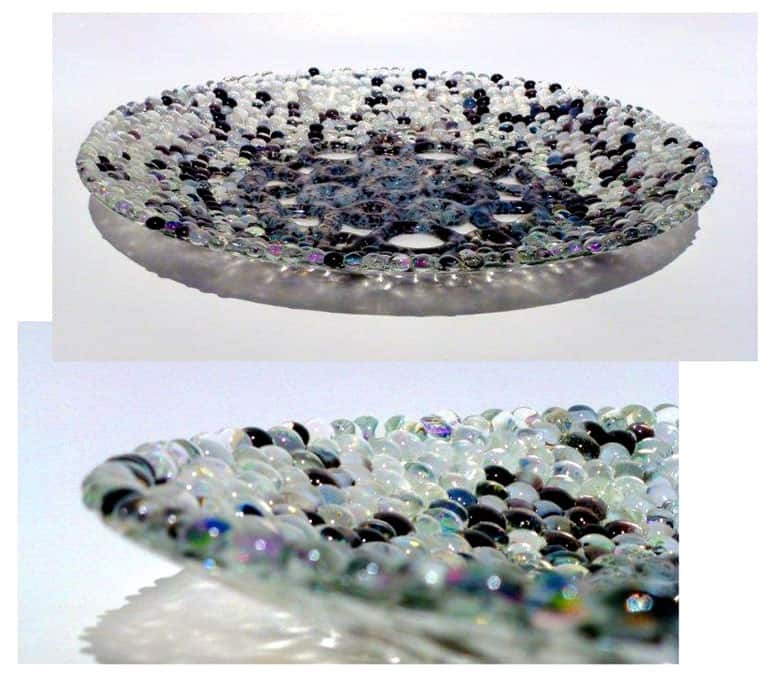 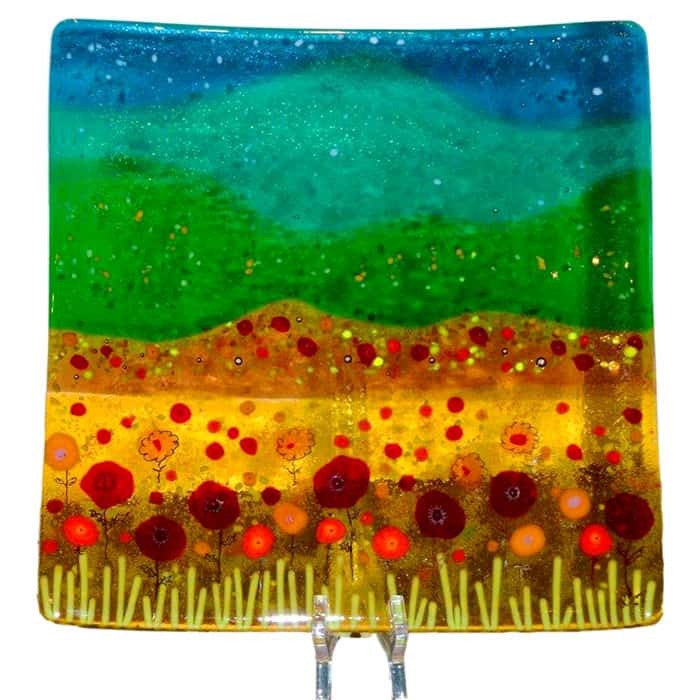 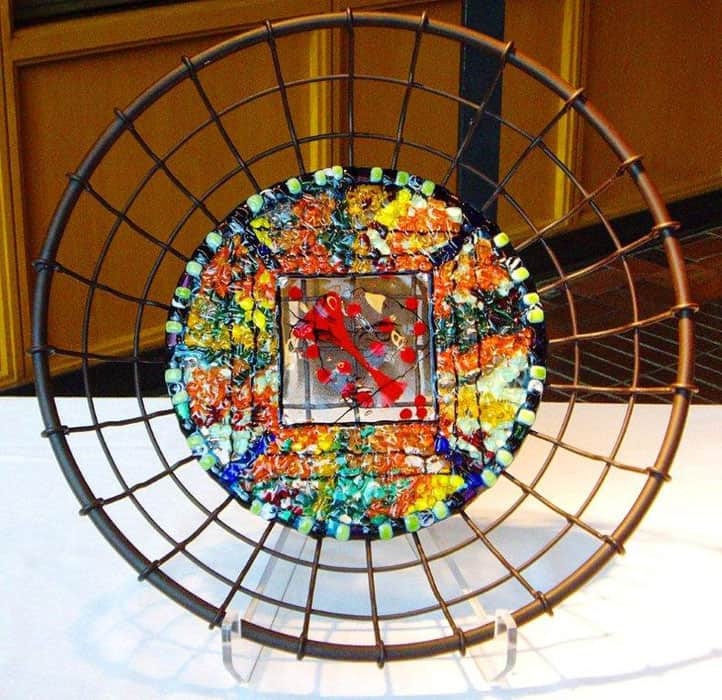 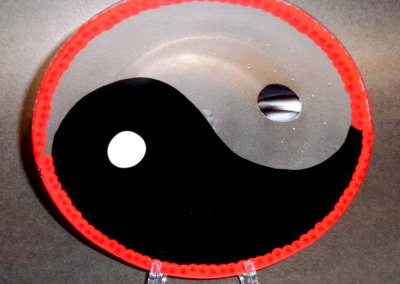 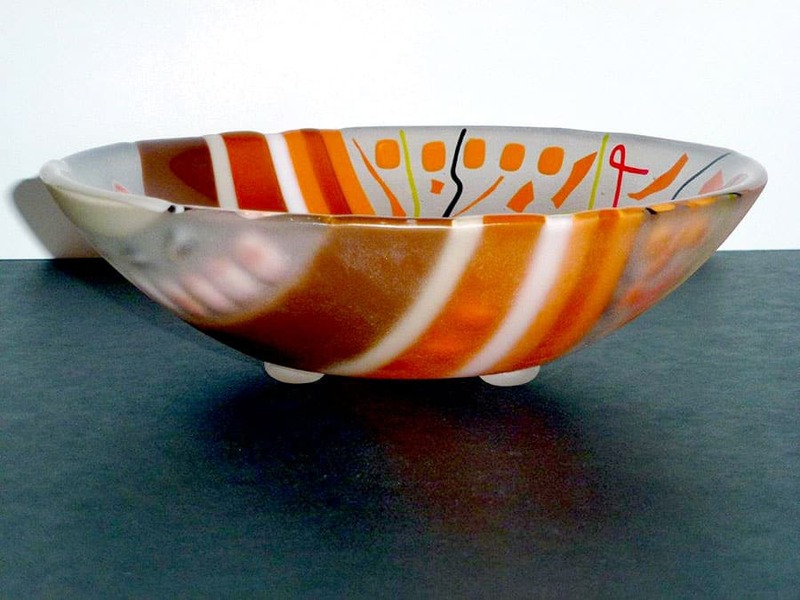 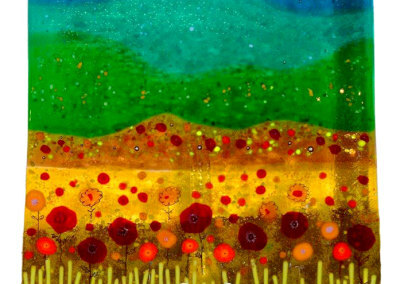 Kimberley Dickinson started as an interested fan of the glass art style and blossomed into a true fused artist. 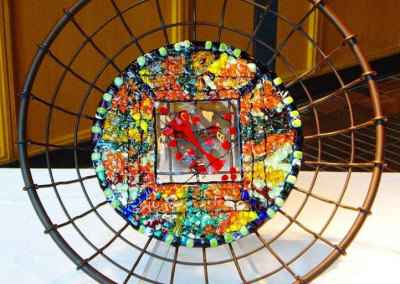 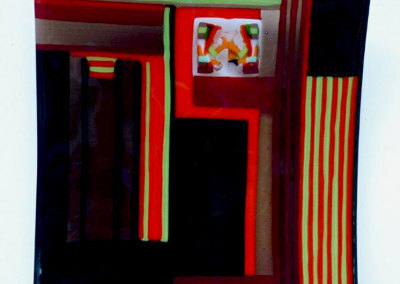 She began her art journey in 2007 and since then has made many different pieces using different mediums and techniques she has learned along the way. 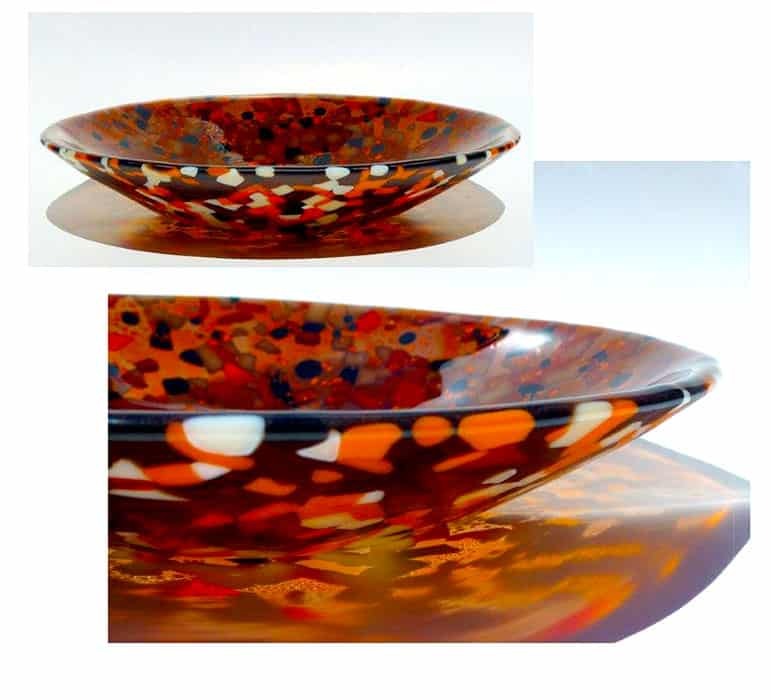 Kimberley enjoys experimenting with colour and gets her inspiration from the simple beauty of the world around her. 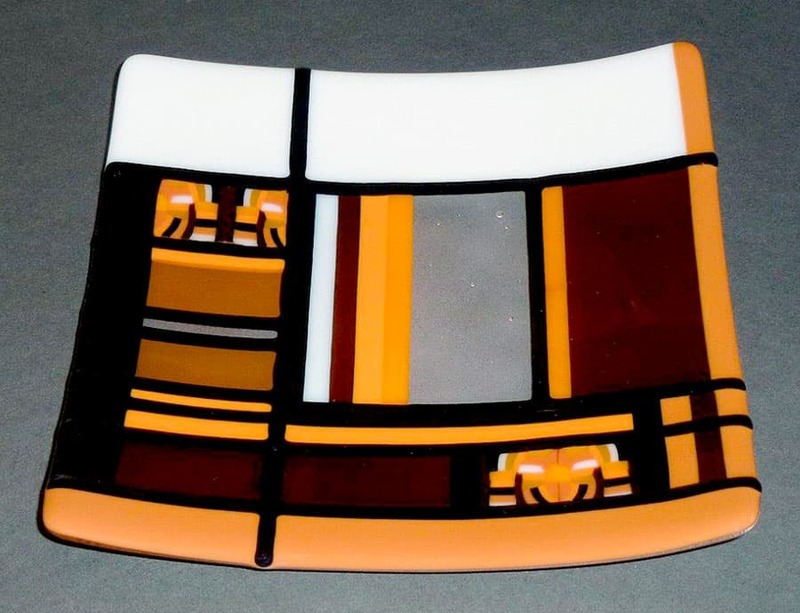 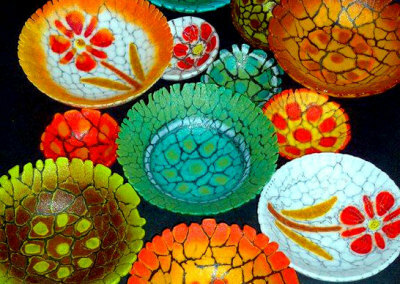 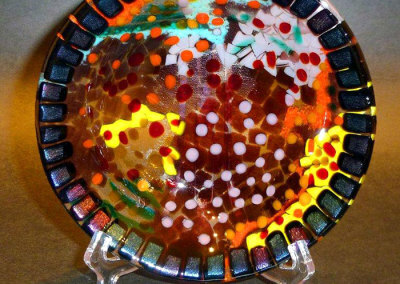 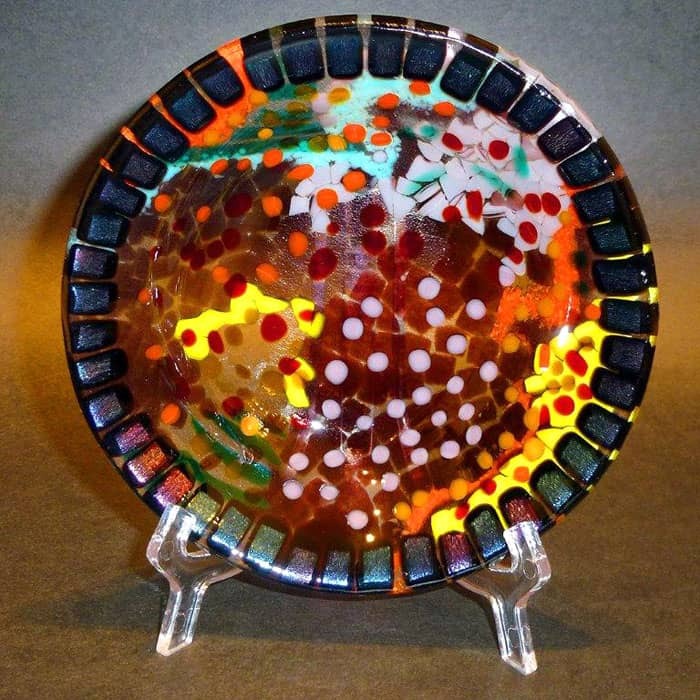 Her passion for making glass art has allowed her to participate in various art shows and sales around Saskatoon. 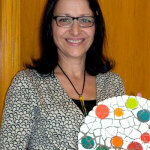 She has been an active member and on the executive with the Saskatoon Glass workers Guild for five years. 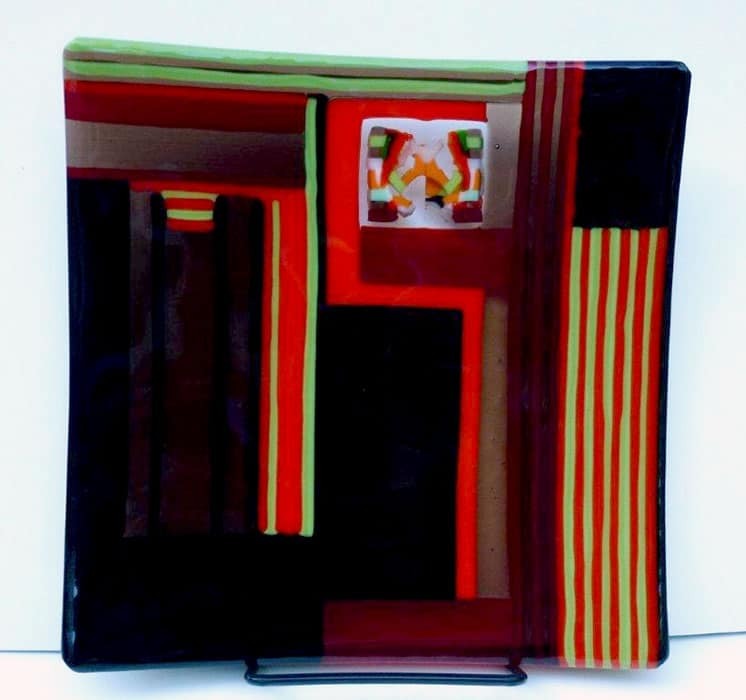 She has recently joined the Saskatchewan Craft Council and has challenged herself to take her glass to the next limit.